The former Mount Ida College campus in Newton is now part of the University of Massachusetts Amherst. UMass officials notified state lawmakers Thursday that it had completed the $75 million purchase of the assets of the financially struggling liberal arts college. The deal came just one day after UMass president Martin T. Meehan and the chair of Mount Ida’s board of trustees were grilled by a Senate committee over the controversial acquisition. 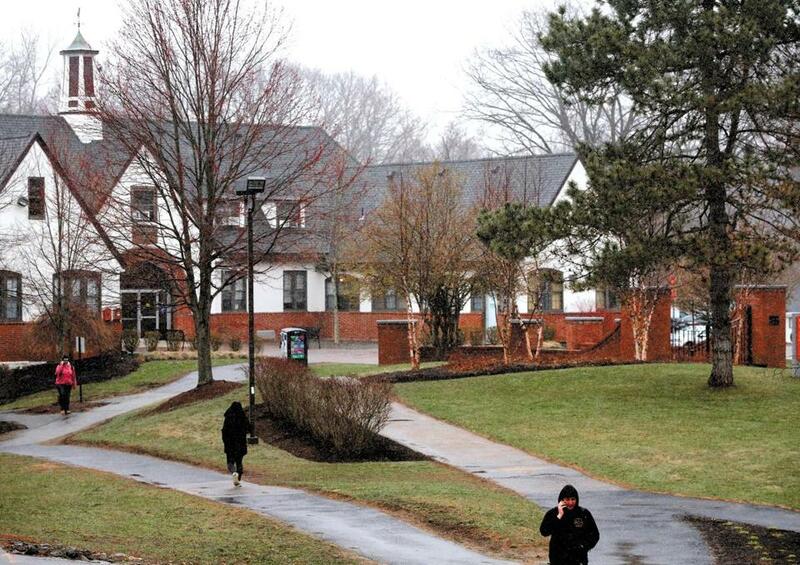 Mount Ida announced in April it would close and sell its campus to UMass Amherst. A previous effort to merge with nearby Lasell College fell through. Still, the sale to UMass Amherst caught many by surprise, and unleashed harsh criticism that Mount Ida did not do enough to inform students, faculty, and staff of its financial problems. The deal also angered students and staff at UMass Boston, which is facing major financial challenges. On Monday, the faculty council at UMass Boston took a vote of “no confidence” in Meehan and the university’s board of trustees. Mount Ida had said that it would have to file for bankruptcy by Wednesday if the sale of the campus did not close. “The timing of this transaction was precipitated by the status of Mount Ida’s finances as the college wound down its operations,” Meehan wrote in the letter that was also signed by Kumble R. Subbaswamy, chancellor of UMass Amherst. A spokesperson for UMass could not immediately be reached for comment. A former spokeswoman for Mount Ida said she could not comment on the transaction Thursday because the college is no longer in operation. The college, established as a finishing school for women in 1899, held its last commencement on Saturday. Attorney General Maura T. Healey on Tuesday approved the sale of Mount Ida to UMass Amherst, but said she will still look into whether Mount Ida officials breached their fiduciary responsibility. The acquisition, which includes Mount Ida’s real estate and physical assets, was unanimously approved by both the UMass Board of Trustees and the university’s Building Authority Board, the letter stated. The Newton campus will be known as the Mount Ida Campus of UMass Amherst, but will not admit undergraduate students directly, according to the letter. Instead, the campus will focus on career preparation programs, including access to student internships and partnerships with business and industry. “The acquisition of the Mount Ida campus is aligned with the UMass Amherst strategic plan, which calls for the enhancement of career preparation programs,” the letter stated in part. Key Mount Ida programs, including veterinary technology, game art, and fashion design, will be offered by UMass. The school’s dental hygiene and funeral services education will transition to other colleges that were not identified in the letter. Students who attended Mount Ida are eligible for admission to other UMass campuses. “To date, more than 600 Mount Ida students have applied to a UMass campus, and we are making every effort to maximize credit transfer,” the letter read. Material from prior Globe stories was used in this article. Cristela Guerra can be reached at cristela.guerra@ globe.com.